AP-3001/AP-1671 Renaissance Scrolling Bright Platinum. 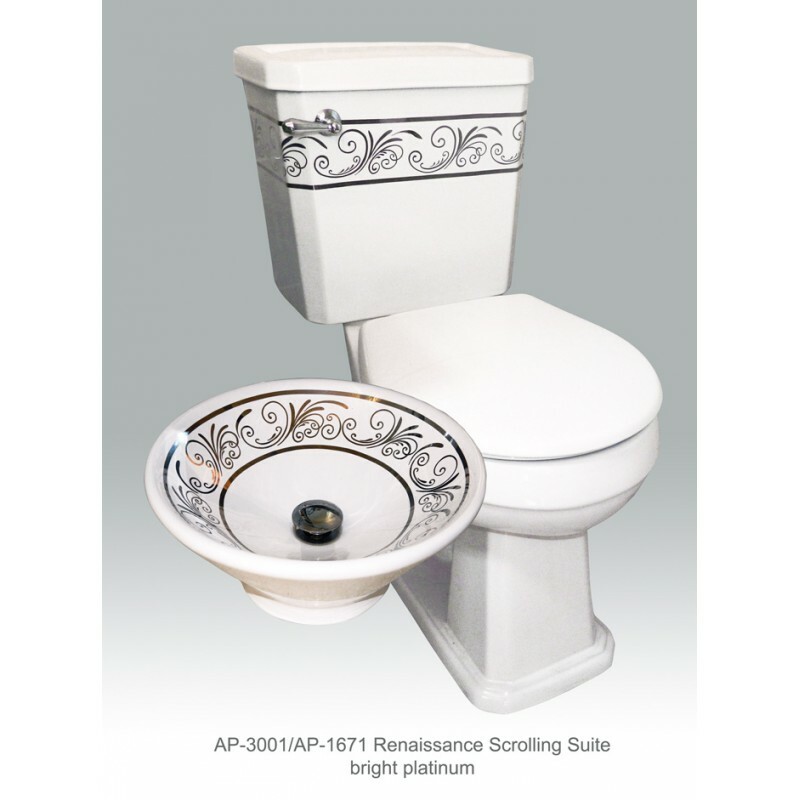 White Arena I comfort height toilet with AP-1671 White Valencia Vessel sink with Renaissance Scrolling design in bright platinum. Toile is 30 3/4" x 27 1/2". 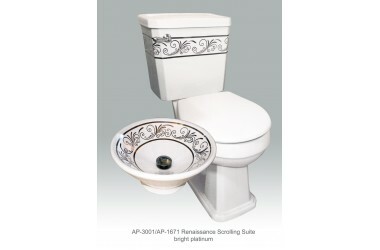 Toile is code approved, 12" rough in, low volume, 1.6 gallons per flush. Sink is 16 1/2" diameter 7" high. 5" inside sink depth. With overeflow.